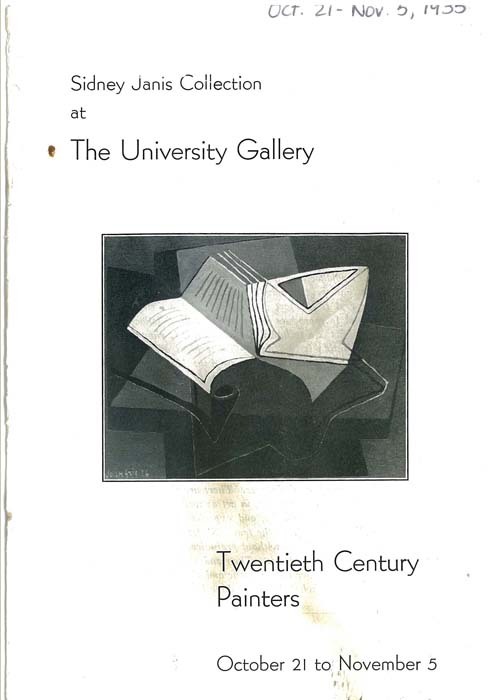 From the outset of the University Gallery program for the 1935-1936 academic year (the second year of its existence), the gallery’s focus on contemporary art was evidenced by the first exhibit that opened that season. The Minneapolis Tribune reported that the exhibit – literally titled – Twentieth Century Painters, consisted of seventeen original paintings valued at $70,000 from the personal collection of Sidney Janis of New York City. Artists represented in the October exhibit included Henri Rosseau, Pablo Picasso, Paul Klee, Piet Mondrian, and Arshile Gorky. A list of the artworks displayed in the exhibit was also published in the Minneapolis Tribune (click on the newspaper clipping from the gallery press books at left to view the article). The purchase… and Murder of Edith Cavell.